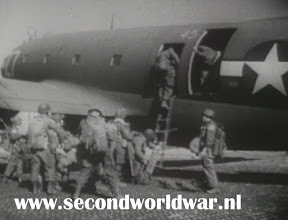 Airborne troops of the 17th US Airborne Division getting into a Curtiss-Wright C-46 Commando Troop Carrier aircraft of the 48th TCS before operation Varsity, the crossing of the Rhine. Picture courtesy Victory Films. 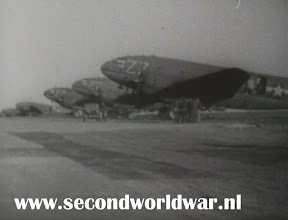 Curtiss-Wright C-46 Commando Troop Carrier aircrafts of the 48th TCS lined up before operation Varsity, the crossing of the Rhine. Picture courtesy Victory Films.